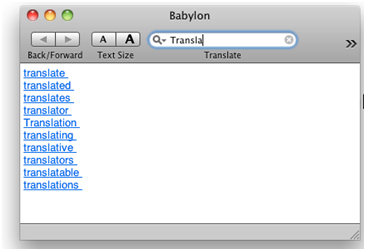 The ultimate translation software! More than 90 million users! Auto-complete – related complementarily terms as you start typing. 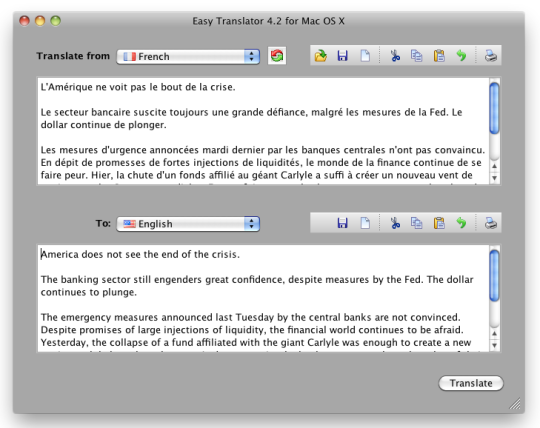 iTranslate is a useful application tool for quick translations from German into English or German into French. All you need is an Internet connection. iTranslate accesses language information from LEO – an online dictionary provided by the Technical University of Munich and Wikipedia – the online encyclopedia and thesaurus, where you can find anything about everything. 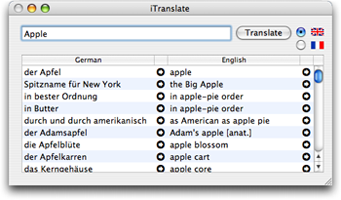 Dilo is an application to lookup German <-> English, German <-> French, German <-> Spanish and German <-> Turkish words in public dictionaries to get a translation in the other language, respectively.